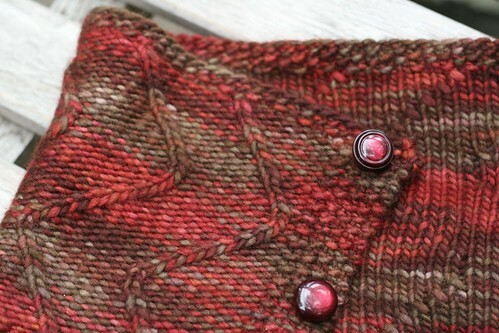 Yeah, those buttons are really the brilliant part of your cowl. I just love it with the last button undone like JF and Christy are sporting. You did a brilliant job with this. I love that design! Sounds like the trip was a blast and that cowl is really sharp. Great job on the design. That mosaic fills me with teh happy every time I see it. As does your cowl, which I do believe I will be knitting with that Mini Maiden I picked up in Philly. Congrats on the pattern - it's really lovely! Sounds like it was a really enjoyable meet. 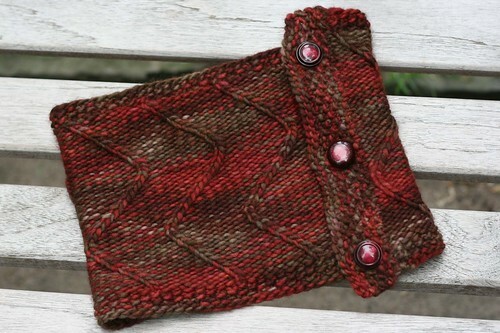 And the cowl you knit looks great; any action shots? 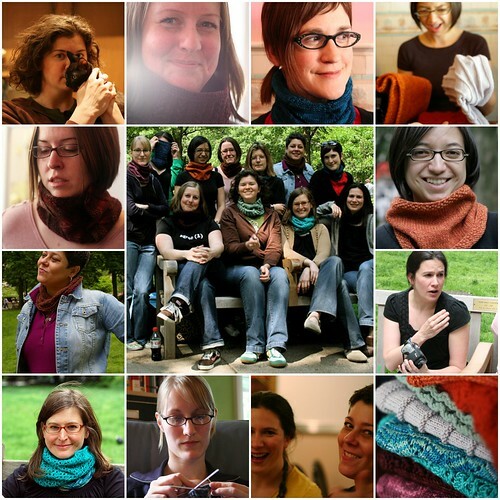 It looks like y'all had lots of fun; I love all of the cowls that were made by everyone. Beautiful! I must make the Philly Cowl. Stat. And I love that picture I took of you. You look so angelic!